On weekdays at this time of the year, it looks abandoned and a little tired here – a bit like a nightclub strip in the harsh light of day. Yes, there are signs of life as the cleanup begins for the start of the tourist season in September. But no-one is in a hurry. It will get done when it’s done. There’s no real drive to lose yourself in busy-ness and you’ve gotta love that! …and those two-hour lunch breaks, ahhhh. 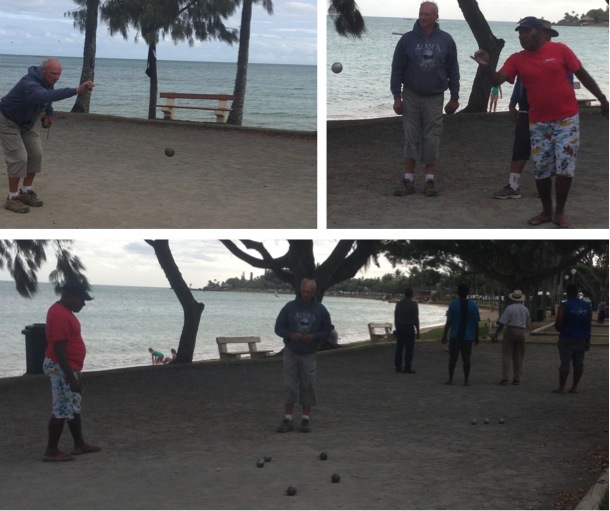 The perfect time to do a few laps of the bay, or keep it low key with a game of pétanque, the French version of boules. It’s a little confronting to see so many of the Pacific Islanders hanging out in the street, in parks, under trees. We asked a local if unemployment was a problem here, but she just smiled. “People think they’re sitting around with no work or money, getting depressed,” she said. “But it’s not like that here. They don’t have ‘nothing to do’, it’s just their culture to be relaxed and happy. Some argue that there’s a ‘welfare culture’ side to it, but I like that they don’t feel the need to accumulate wealth or ‘stuff’. 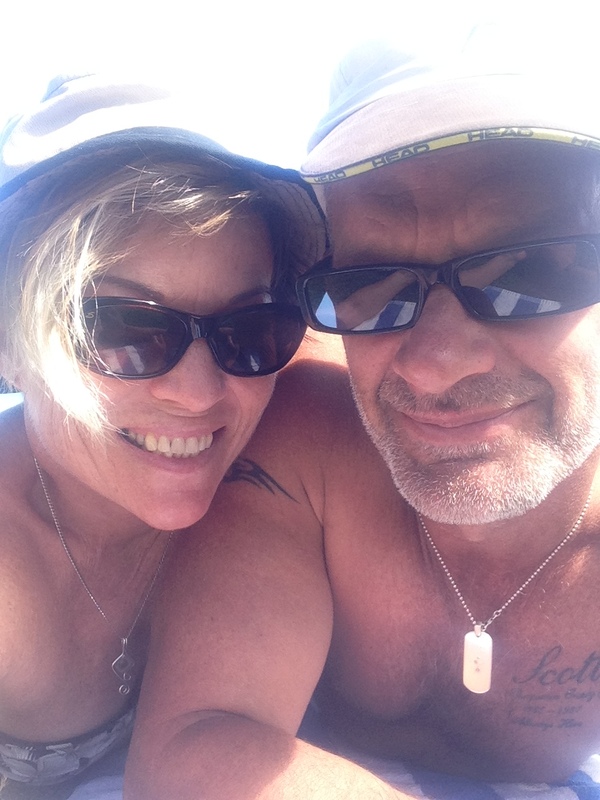 So we did a bit of hanging-out these holidays – something new for us. By the end of the week, we got the point. It’s okay not to be always on the go. In fact, it’s pretty fabulous really. Meanwhile, I must get us a pétanque set. Just sayin’. 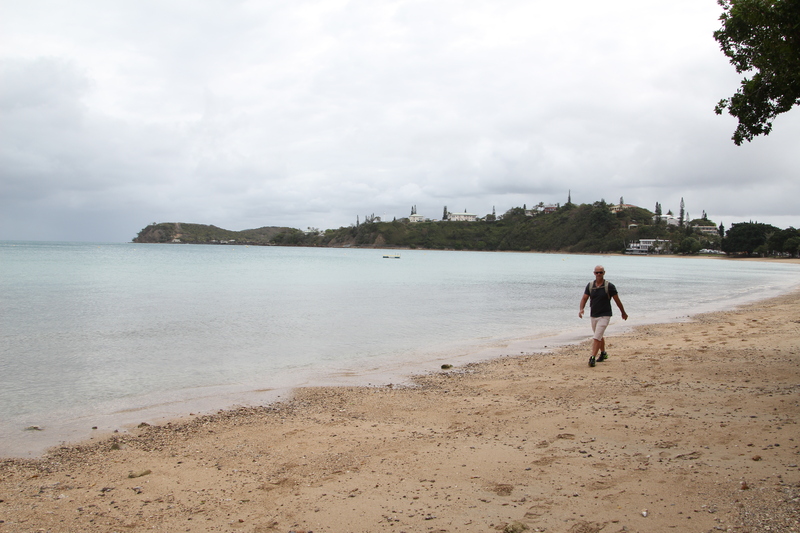 This entry was posted on Saturday, August 16th, 2014 at 8:00 pm	and tagged with Beaches, Life, New Caledonia, Noumea, Nouvelle Caledonie, petanque, short breaks, travel, vacation and posted in New Caledonia, short breaks, Travel, Wellbeing. You can follow any responses to this entry through the RSS 2.0 feed.